Oppo F5 has been launched in India a week after it was launched in the Philippines. The selfie-focused Oppo F5 smartphone will be exclusive to Flipkart online, but will also be available via physical retail stores across the country. Its biggest highlights are the AI-powered beautification features and a 20-megapixel front camera, and 18:9 'Full Screen' display. The variants launched in India have no differences in specifications. Read on for more details on Oppo F5 price in India, availability, launch offers, features, and specifications. 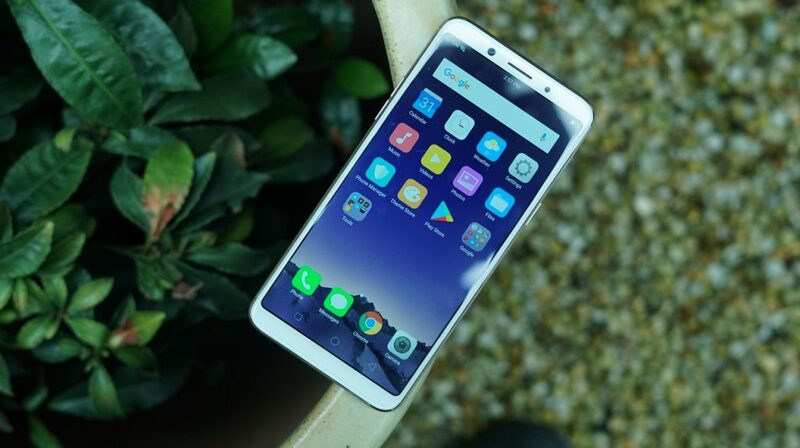 Alongside the F5, the company also announced the Oppo F5 Youth with a 6-inch display and AI beautification features, which will be launched in India in December, but no other details of the smartphone are available at the moment. Oppo F5 price in India starts at Rs. 19,990, for the 4GB RAM and 32GB inbuilt storage variant, which will be available in a Gold and Black edition. The 6GB RAM and 64GB inbuilt storage variant has been announced for the country with a price tag of Rs. 24,990, and a Red and Black edition. The Oppo F5 will go on sale from November 9 on Flipkart, with physical retail availability beginning shortly after. The 6GB RAM variant will go on sale from December, the company revealed. As for the Oppo F5 launch offers, Flipkart is offering exchange discount of up to Rs. 18,500 with the phone. The e-commerce brand is also offering 15 percent extra discount on fashion and lifestyle products on its platform if the customer buys the phone between November 2 and November 8. They will get 5 percent cashback on purchases made via debit and credit cards, and an additional 5 percent off on Axis Bank Buzz Credit Card purchases. As we mentioned, the highlight feature of the Oppo F5 is its AI-powered beautification tech for the front camera. The company is touting over 200 positioning spots that will enable the smartphone's software to accentuate facial features and enhance symmetry to beautify selfies. Also being touted is an iris tool that makes eyes shine brighter in photos, as well as a Bokeh mode. The company is also touting features like O-Share (said to be faster than Bluetooth for file transfer between Oppo phones), Game Acceleration, and Facial Unlock. It sports a fingerprint sensor on the rear panel. Coming to the Oppo F5 specifications - the dual-SIM (Nano) smartphone runs ColorOS 3.2 based on Android 7.1 Nougat, and is powered by a MediaTek MT6763T octa-core SoC coupled with either 4GB or 6GB of RAM. It has a 6-inch full-HD+ (1080x2160 pixels) LTPS 'Full Screen' display with Corning Gorilla Glass 5. The smartphone sports a 20-megapixel front camera with an f/2.0 aperture, and on the rear, it sports 16-megapixel camera with dual-LED flash and an f/1.8 aperture. The Oppo F5 has been launched in two storage variants - 32GB and 64GB - both of which are expandable via microSD card (up to 256GB) with its own dedicated slot. Connectivity options include 4G VoLTE, Bluetooth v4.2, dual-band (2.4GHz and 5GHz) Wi-Fi 802.11 a/b/g/n, GPS/ A-GPS, Micro-USB with OTG support, and a 3.5mm audio jack. Sensors on board include accelerometer, ambient light sensor, digital compass, and proximity sensor. It is powered by a 3200mAh battery. The Oppo F5 weighs 152 grams and measures 156.5x76x7.5mm.